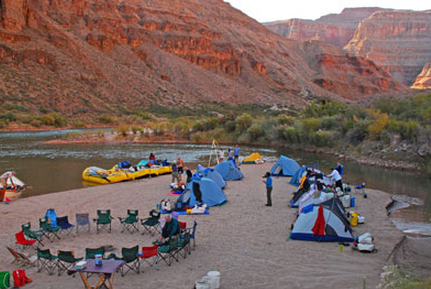 Camping in the Grand Canyon while on a rafting trip is not your average camping experience. You’ll be happy to know that you’ll be sleeping on a sandy beach, with very few insects compared to a usual campsite in a wooded area that’s flooded by mosquitoes and wet, muddy terrain. As the rafts pull up to your campsite, a duffel line is formed to assist in removing items from the rafts. Dry bags are among the first items removed. In these dry bags will be your sleeping gear (sleeping bags/sheets/tarp) as well as your clothing/hygiene items in the second dry bag, and finally a third smaller dry bag which is near you all day and carries items such as sandals, sunscreen etc. Please note that non-motor rafts have limited storage space which is why sleeping pads are provided when compared to most motor raft trips where cots are provided. Many people choose to sleep under the stars rather than in a tent, granted the skies are clear. There are few insects, and with a cool breeze, sleeping outdoors while watching the moon make it’s way across the river is an experience everyone should try once! While you are setting up camp, the guides are setting up the kitchen and toilet facility. Food is prepared and on a prep table and cooked via propane on a cook-top/burners or with on a grill with charcoal. There is a 3 bucket system for washing dishes which will also be set up. 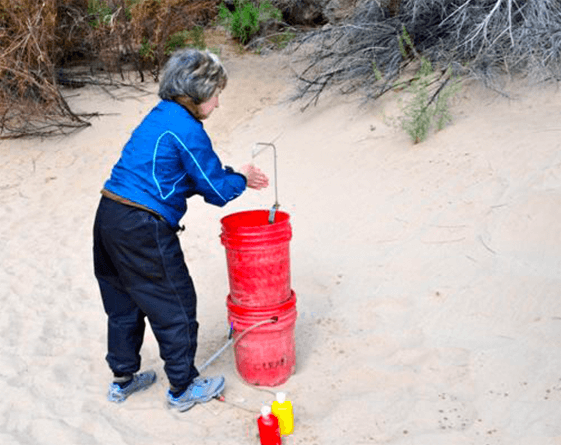 Drinking water is available at all times and is specially filtered in addition to chlorine bleach drops killing any remaining virus per the national park service regulation. Often called the Groover, this system is set up once arriving at camp, and last to be broken down in the morning prior to getting back on the rafts. These groovers are carefully and strategically placed at specific locations for many reasons – proximity to kitchen (downwind and not too close), the river (for peeing) and most importantly in a remote and private area often with an incredible view! 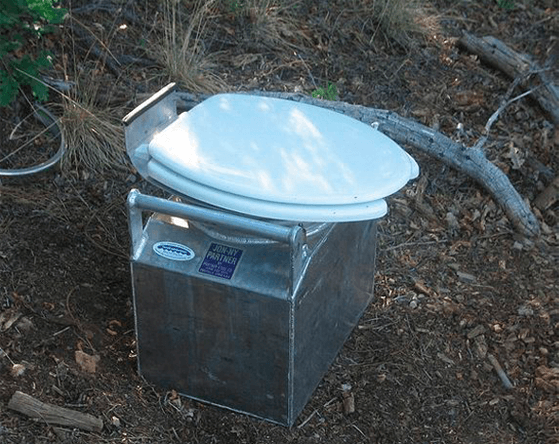 There is a toilet seat connected to either a metal or welded plastic container which you will sit on for pooping, and either another bucket adjacent for peeing, or this must be done in the river. Under no circumstances is it ok to pee in the groover. A hand washing station is located in the kitchen, as well as one at each toilet facility entrance. Soap is provided for you at each station and with the help of a foot pump, fresh water is forced upwards and through a spigot making it easy to wash your hands. This may seem like a no brainer, but most accidents tend to happen at camp with people not using flashlights at night or walking barefoot which is a hazard. Always wear sandals to protect your toes/feet from hidden rocks, as well as for traction when peeing in the river. There are thousands of great camping areas across the world. America has been hailed as one of the best places to go camping due to its very large range of different environments. Furthermore, there has been a long history of camping in America, ever since the first settlement of the country. Hence, one of the best places to camp in whole America is said to be the Grand Canyon. Of course, it’s easy to see why this is the case. 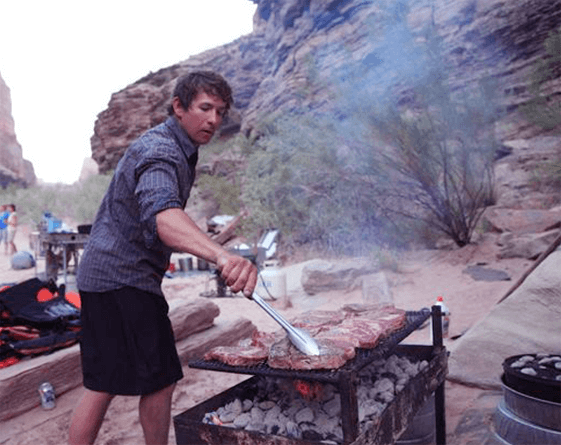 So here is why you should consider going Grand Canyon camping and some tips to get prepared. The Grand Canyon is truly a testament to the beauty of nature. Furthermore, the canyon just shows you how complex and intricate certain natural landscapes can be. Indeed, the canyon is just as much complex as it is vast and beautiful. Hence, such a vast and ever-changing area is a great place for someone to have the best camping trip of their life. That’s why there are lots of opportunities to go camping in the Grand Canyon. Many avid campers travel from other countries come to the Grand Canyon to purely experience the amazing camping it offers. Due to the fact that the Grand Canyon is a sacred area to the Native Americans, and is also protected, the camping areas are tightly controlled. With that being said, this does not make the camping experience in the Canyon any less exhilarating and amazing. There are many areas that have been approved by the Native American council to be allowed for camping by tourists. Lots of these areas have great views of the Canyon and sport lots of great hiking opportunities. However, it’s important to note that camping in the Grand Canyon is a very high demanding activity. This means that you will most certainly won’t be able to rock up to the Canyon and be able to find a camping spot. Reservations are absolutely necessary if you want to go and get a camping spot in the world famous camping venue. The more time you leave between the day you want to go camping and making the reservation the better. You really want to increase the chances of being allowed in, so make sure to make a reservation as soon as you decide to go camping in the area. Camping Grand Canyon is managed through a permit system. This means that when you make a reservation to go camping in the Canyon, you are essentially reserving for yourself a permit to go and be able to stay at the specific camping ground of your choice. The cost of a permit is usually a lot more expensive than other camping grounds and includes lots of extra fees. However, camping in, perhaps the best camping area in the world, is well worth the price you have to pay. Therefore, you should see why it is absolutely essential for anyone interested in going camping in the Grand Canyon. The area is truly the greatest place to go camping. It gives you a whole new perspective on just how amazing the Canyon is. While you're camping, you can also book an exciting rafting trip with one of our 15 outfitters!